Home » Casting Director » We have a Casting Director Claire Bleasdale – right after a BAFTA win! 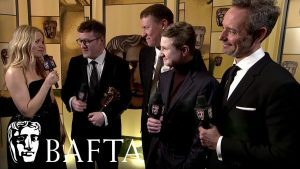 We have a Casting Director Claire Bleasdale – right after a BAFTA win! With Cannes fast approaching and the Oscars and BAFTAs recently on, we thought it was only timely to bring in a Casting Director whose short film just WON A BAFTA. Also Claire will be heading off to Cannes for the film festival the very next day, so if you’re considering attending, this is a great opportunity to hear from a busy CD who regularly attends about how to make the most of your time in Cannes. As a Casting Assistant she worked on the teams for BBC drama The Village, the Feature Film X&Y and at Lime Pictures on various productions. Claire then went to work with various Casting Directors and United Agents in London. Claire’s first credit as Casting Director was the short film BREAK, by Nick Moss – Starring John Hurt which won Best Short at Manchester Film Festival 2015. She has gone on to cast three more short films – Lambing Season by Jack Benjamin Gill(Creative England iShort), Hope Dies Last, by Ben Price, which is currently doing very well on the festival circuit. Most recently Claire worked on the Short Film COWBOY DAVE by Colin O Toole which won the BAFTA for British Short Film. Claire cast her first feature film this summer – Morning by Juliet Ellis.